Reaching the C-suite is one of those perennial challenges for B2B marketing and sales. 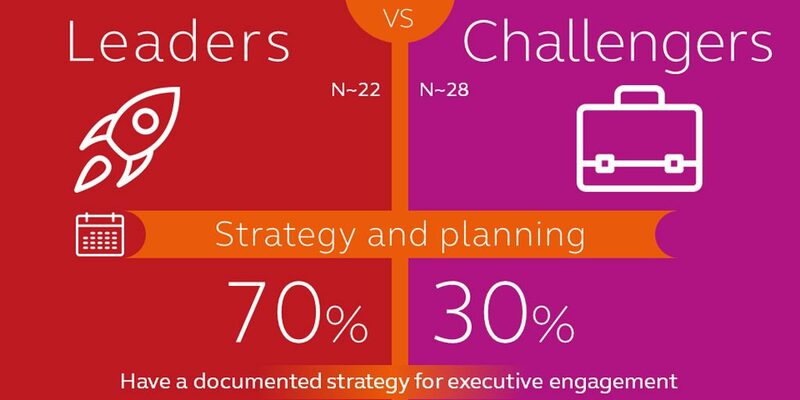 We know executive engagement is critical, especially in selling high value services and solutions. And we invest substantial resources in marketing programs, sales training, and day-to-day support to build credibility and connections with the senior executives at our clients and prospect accounts. View or download our latest infographic, Six Steps to Engaging the C-Suite, and check out the full survey report, Engaging the C-Suite: 2017 Sales and Executive Engagement Survey Report, for detailed data and analysis.